To most people, the manufacturing industry and the medical field have virtually nothing in common. Just the word manufacturing brings to mind visions of gritty, dark factories where noisy machines crank along, producing all manner of parts and products that somehow become the things we use every day. Most of us pay little attention to the process, we just happily accept that our gadgets and gizmos will be available when we want them, and will work without fail. In reality, the medical industry would not be possible if not for the devices and equipment that manufacturers create to the highest of standards in clean, organized, sophisticated facilities around the globe. To protect the delicate electronics and instruments, the deep drawn process is commonly used to produce elegant protective casings for many of these devices. Deep drawn medical devices are used in hospitals and clinics every day around the world, saving lives and making complicated procedures simpler through innovation. Many of these products go unnoticed, but a few you might have seen without ever realizing where they came from. Here are three of the most well-known deep drawn medical devices that just might one day save your life. Diabetes is a disease that millions of people contend with every day. When kept in control, the condition is quite manageable. Once out of control however, the disease can turn deadly very quickly. The daily administration of insulin is critical to maintaining control of the condition, and is something most patients become capable of performing on their own. The elegant protective casings that house the delivery systems are just one of many deep drawn medical devices that both save lives and help people with diabetes live long and comfortably. This is one of the medical devices deep drawn parts are used in that you hope never to need. A defibrillator provides a mobile electrical shock platform that medical staff can use to re-start the human heart. While it might not be obvious at first glance, many of the internal casings that hold the sensitive electronics are actually deep drawn shells. 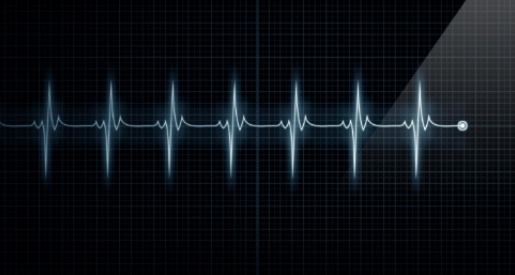 With the life-saving task of regulating the heart rate of the patient, it goes without saying that pacemakers need to be resilient and long lasting. The deep draw process produces many of the casings and internal components that allow this deep drawn medical device to save and preserve lives, day after day.